Sort the famous puzzle with easy visual board. 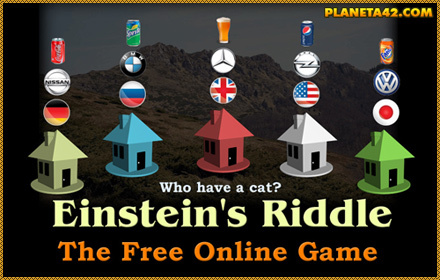 Fun online logic riddles to practice thinking. 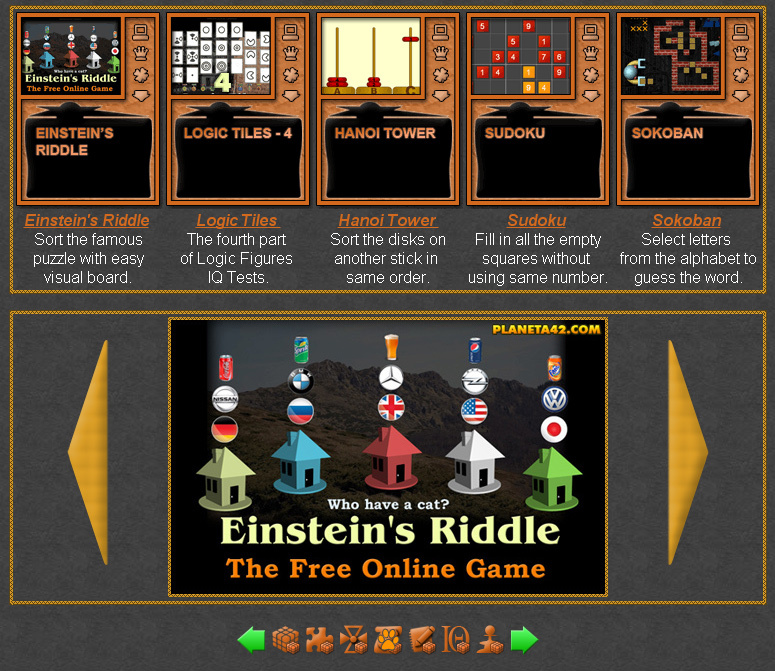 The logic riddle games are small online games, up to 1 MB, which include boards and help desks to solve riddles and quizzes. Fun logic educational games and tests for solving logical tasks, suitable for online learning and interactive classes. Riddle solving boards. Fun Logic Riddles Collection. Einstein's Riddle - Solve the famous zebra puzzle using the visual board.